Two of our English majors have had poems they wrote in last fall’s English 323: Poetry Workshop accepted for publication in in two different literary journals. A new print journal, Fjords, has accepted for publication in its inaugural issue “weeping willow” and “Highway 285” by Juliana Kocsis. Fjords has solicited poetry from around the country and plans to nominate its very best poems for the annual Pushcart Prize. It was a productive semester for Juliana because she just learned that Sphere Literary Magazine: An International Journal of Student Writing will be publishing another of her poems, “Liturgy, as witnessed by a statue of Mary.” Sphere is an on-line journal edited by students at Farleigh Dickinson University. Twice a year they publish undergraduate writing from around the globe. Juliana wrote her Sphere poem after reading a news item about the bombing of a church in Baghdad back in November. She characterizes the poem as “a sort of lament” over the tragedy and a call for peace and religious tolerance. 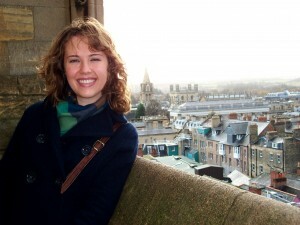 Juliana is currently a junior English major and plans to graduate in May 2012. What she’ll do immediately following that momentous occasion is still a bit speculative, but she wouldn’t be surprised to find herself in graduate school working on an M.A. and thinking about maybe teaching postsecondary school. She’s also considering teaching ESL abroad for a year or two. The other student who has had poems accepted for publication is Bethany Bradshaw. 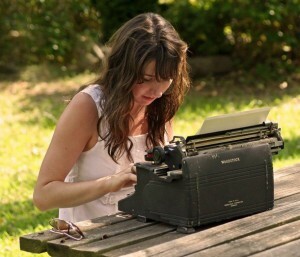 Her poems “Aubade” and “You Asked Me What It Means” will appear in Sphere.